Are you in search of any laptop to buy? 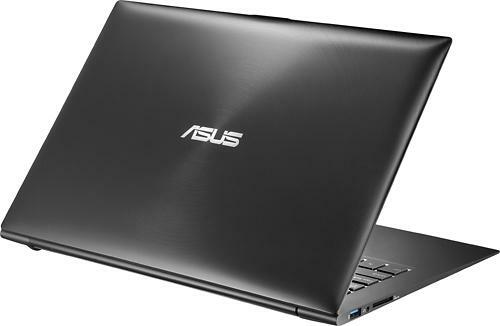 You don't want to get more tensed about that, here in this article I'm revealing the features and specification of the all new Asus UX31A-BHI5T11 laptop. I have also included the best buy for this product. Actually this laptop runs on the Windows platform. It uses the all new Windows 8 OS to operate. Let us take a look at its features. The laptop comes with a dimension of 0.7x12.8x8.8 inch, i.e. it has a height of 0.7, a width of 12.8, depth of 8.8 inches respectively. The weight of the laptop is 2.9lbs and it can be considered as an ultra-portable one. Since the laptop uses Intel® 3rd Generation Core™ i5 processor, it results an extra ordinary performance in its functioning. The processing speed is 1.7GHz. The next main thing that we need to consider is its Operating System. The OS used in this laptop is Windows 8 OS. This is the latest OS of Microsoft Windows. The Windows 8 OS is featured by touch facility. That means we are able to operate the laptop with touch interface. All the applications that are supported by this OS can be used with touch features. The laptop uses a High definition touchscreen wireless display which supports multi touch facility and the screen size is 13.3 inches. The device also shows an excellent battery backup since it uses a polymer battery type. 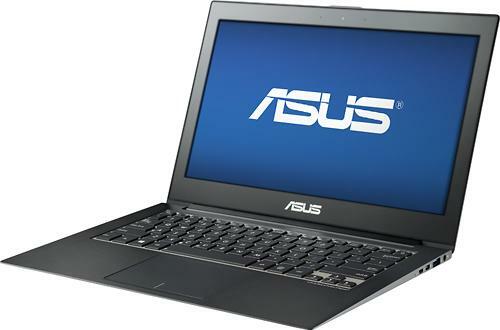 Users are able to operate this laptop without any lag in its functioning since it uses a cache memory of 3MB. A DDR3 RAM of 4GB capacity is used in this product. The essential feature of the laptop is its hard drive specifications. The device gives an average specification in its hard drive feature since it uses a 128GB SSD (Solid State Drive) hard disk. Now we have completed the essential features for a laptop. Now let us go through the additional features. 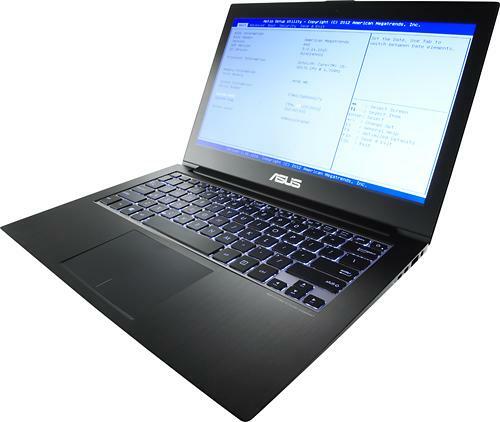 As an additional feature we can say that the laptop uses an UMA graphics card, which is mainly used for graphics related operations. A webcam of 1MP is also included in the laptop. The webcam can be used for video chatting, taking pictures and videos. Now in market there are so many applications are available that works with the webcam. As a networking feature it has 10/100 Mbps Fast Ethernet LAN and also a WiFi (Wireless networking). Bluetooth features are also enabled in this laptop. There are two USB 3.0 ports in which we can connect pendrives or other USB devices to the laptop. Backlit keyboard is used in this. No optical drives like CD/DVD are used in this device. If you are interested in buying this product, then you can purchase it at the best price from the website www.bestbuy.com. The product is Energy certified which means it is designed in such a way that it only uses less energy to function The link for the pre-order page of this product is given link. You may get all details from that link. Dell unveiled its Windows 8 plan with releasing a number of on based computing devices in market. Here we have come up with specs, prices and reviews for some of their newly arrived laptops in market under popular Latitude family. MSI has come up with many unique designed laptops capable to support upcoming Windows 8 operating system and featuring advance technologies like SRS PC Sound, HDMI support USB 4.0, Eco engine power saving technology, third-generation core i processors and many more. This post covers Specs, price, features, availability and reviews for such MSI Windows 8 notebook computers expected to be released very shortly.